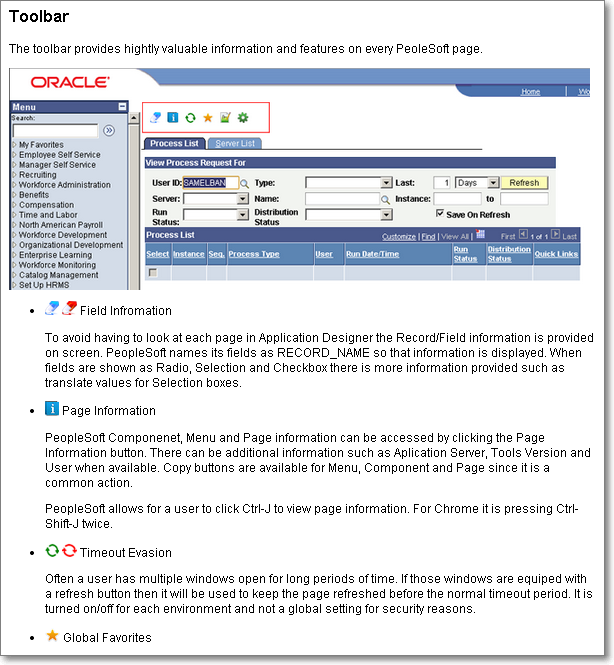 There are few ways you can check PeopleTools version of your PeopleSoft Application. 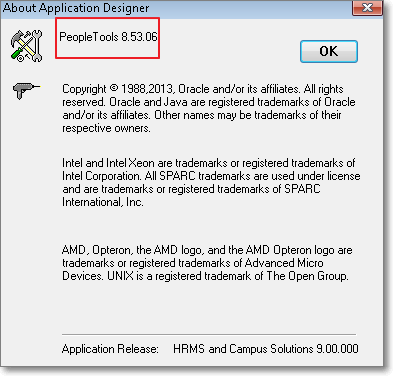 In this post we will look at most common ways to check the PeopleTools version. Method 3: Installing Browser Plugging (PSChrome) for Chrome and FireFox. offers some basic features for use by developers and users enabling a simplified user experience in PeopleSoft environments. It is really handy for Analysts and Beginners for PeopleSoft where you can find information about Components, Pages, Field values etc.. Once installed, it shows you a Toolbar at the top of the page which you can drill down and find many useful information. PS: When you upgrade Firefox to version 36.0.1 PSChrome for Firefox will not work.